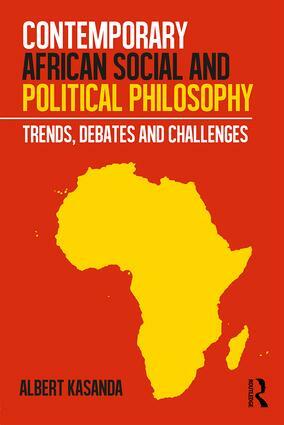 This book explores what constitutes contemporary African social and political philosophy with regard to its meaning, aims, sources, and relevance for today’s Africa. Kasanda denounces conventional approaches considering these either as a subcategory of general philosophy or as the ideological attempts of individual African leaders and professional philosophers, such as Nkrumah, Nyerere, Senghor, Fanon, Hountondji and Towa. On the contrary, Kasanda defines contemporary African social and political philosophy as an inclusive reflection of African communities with regard to power and equitable modes of social and political organization in order to promote human excellence for everyone. This perspective also includes the criticism of social and political concepts in use within African communities. The author postulates that contemporary African social and political philosophy relies on the legacy of precolonial African societies, as well as on the contribution of the diaspora throughout the world. Contemporary African social and political philosophy is rooted in the daily lives of African people, and it expresses itself through multiple modalities including, for example, art, religion, literature, music and the policy of urbanization of African cities. This book sheds new light on debates concerning topics such as ethnophilosophy, negritude, pan-Africanism, democracy, African civil society, African cultures, and globalization. It aims to ward off the lethargy that strikes African social and political philosophy, taking a renewed and critical approach. Institute of Philosophy at the Czech Academy of Sciences, Czech Republic.